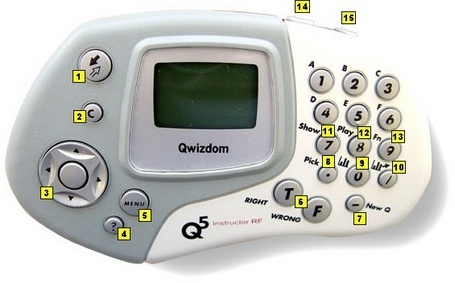 This is a user guide for Qwizdom Mac Actionpoint. 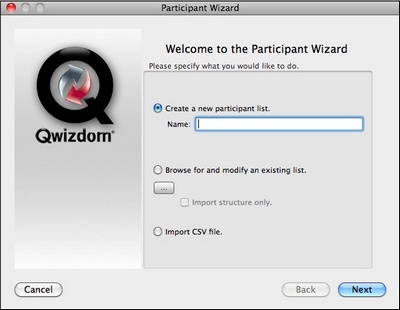 This guide provides information and tips on using Qwizdom Actionpoint for Macintosh. If setting up remotes for the first time, we recommend the following steps. Note: You will only have to do this once. 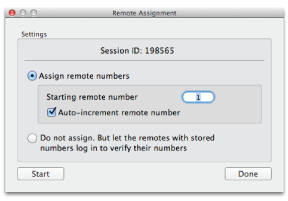 On the Mac Actionpoint toolbar, click Tools and select Remote Configuration. Full List: View all available actions. 3. 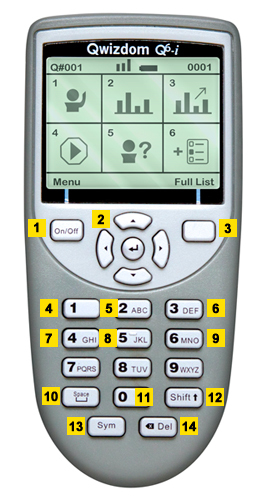 Thumb pad – press right/left to navigate between slide sets, up/down for menu options, and “on-the-fly” question choices. 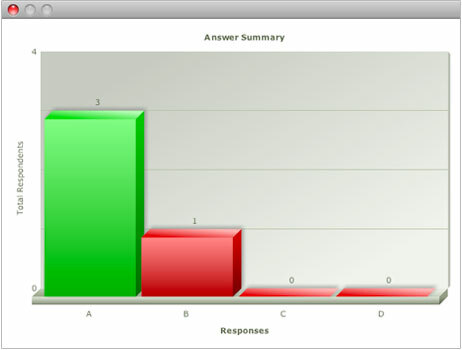 Press the circle key (in the middle) to select an option, play Microsoft PowerPoint® animations, advance slides, exit the presentation, and show/hide correct responses on the response graph. 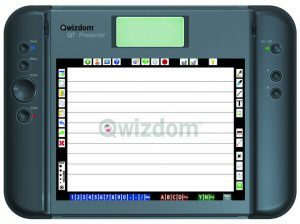 True/Right and False/Wrong keys – not applicable using Qwizdom Actionpoint. Show  – to show current scores and start game animations during game mode. 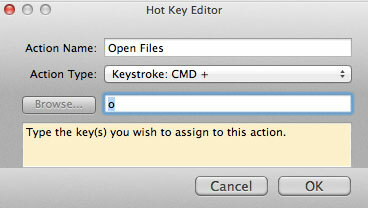 To open Mac Actionpoint, go to Finder/Applications. 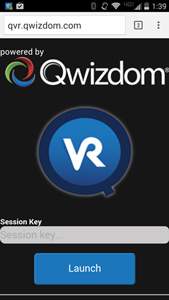 Double-click the Qwizdom Connect folder then open the Actionpoint application. Opening Actionpoint will cause PowerPoint to open. 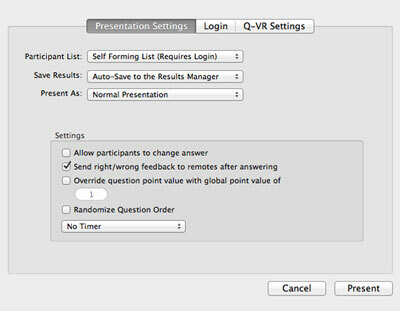 Actionpoint tools float over the top of your PowerPoint presentation. 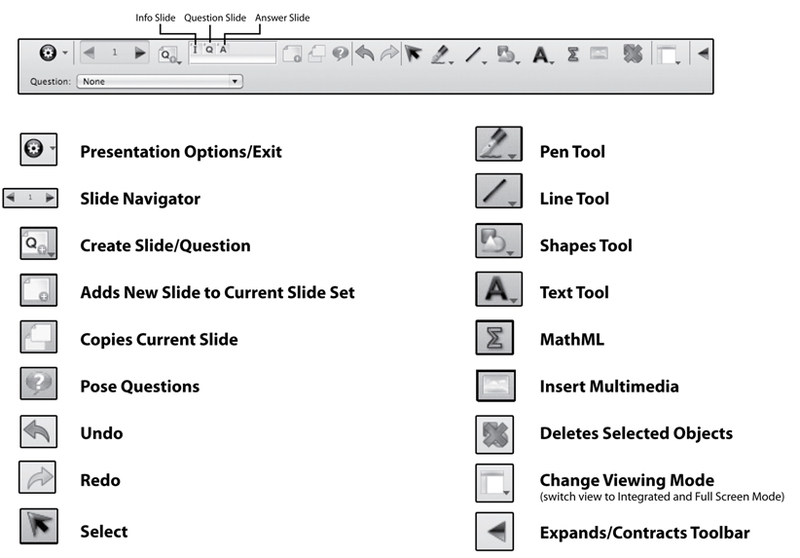 Insert Slide – add slides to the presentation. 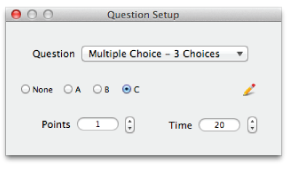 Question Setup – set question type, correct answer, points, and time limit. Present – start a presentation. 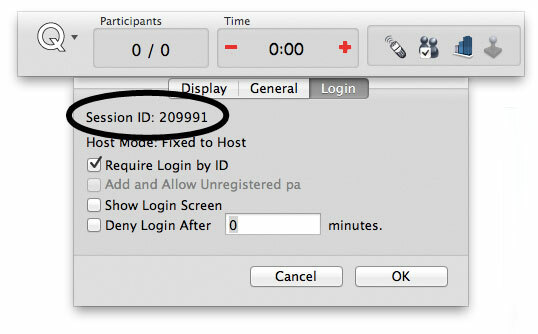 Participants – create, modify or import participant lists. 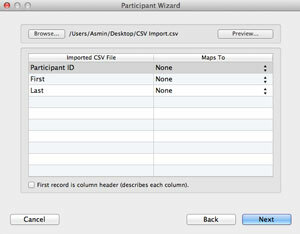 Results – vview data and generate, export, or print a variety of reports. 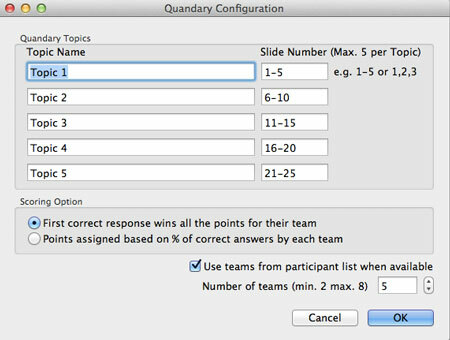 Standards – assign state or national academic standards to selected slides. 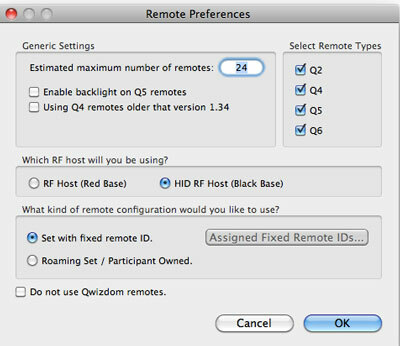 Tools – configure remotes, and set Quandary game options. 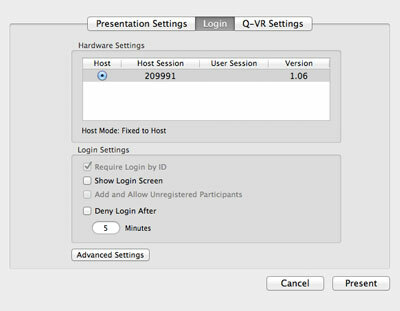 Help – open the Mac Connect Quick Start Guide. 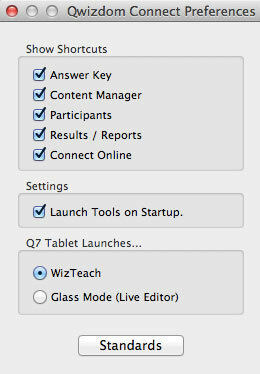 Click on Question Setup if the Question Setup box is not present. 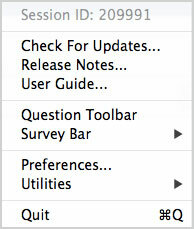 In the Question Setup window, select the question type, answer, points and set a timer, if desired. 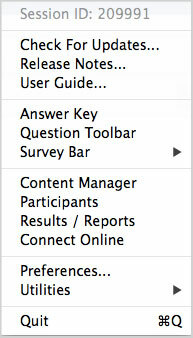 Click the pencil icon in Question Setup to open the Question Properties/Answer Details window and assign points. 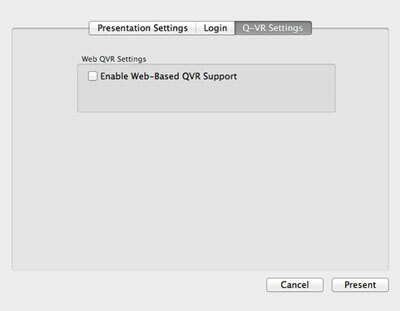 If using a Q6 or QVR response system, question and answer text can be set to be viewed on the participants’ screens. 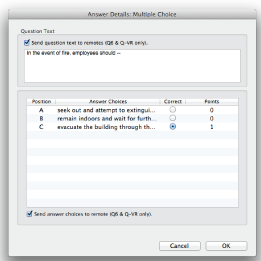 Check Send question text and/or Send answer choices for text in this window to appear on participant response devices. Click Participants. The Participant wizard will appear. 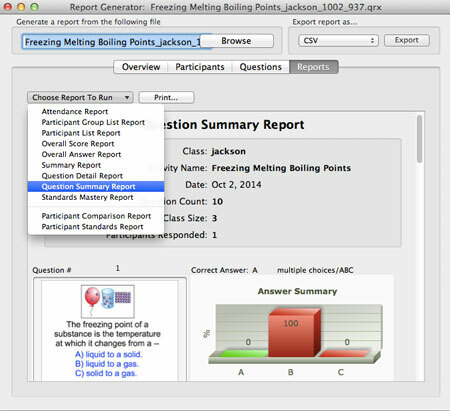 To view saved response data from a presentation, click Results on the Mac Actionpoint toolbar. 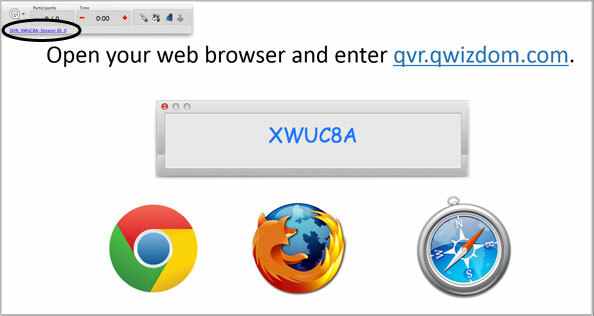 Click Browse to locate the Qwizdom (.qrx) results file.